Carolyn Bradley Stewart went to be with the Lord on September 6, 2018. She was born on May 7, 1936, in Greenville, Mississippi, to Marian Cohn Bradley & John Robin Bradley. She grew up in Inverness, Mississippi, and graduated from Inverness High School at 16 years old as Valedictorian. She attended Stephens College before graduating from The University of Alabama. 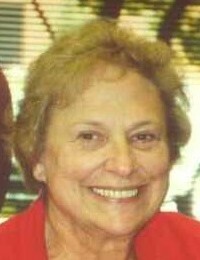 Carolyn taught school and was a tennis coach in the Mississippi Delta. A new job as a stewardess for Delta Airlines brought her to Dallas where she met her late husband, James Ross Stewart, and they began their journey together! Carolyn and Ross were the best parents three little girls could ever ask for. We will miss them but knowing that they are together now and we will see them again is comforting. She is survived by her three daughters: Allyson Stewart Toler (Phil) of Dallas, and Jennie Stewart Fuller and Mary Stewart Griffin (Bill), both of Richardson; her brother, John Robin Bradley, Jr. (Laura) of Oxford, Mississippi; the highlights of her life - four loving grandchildren of Richardson: John Ross (JR) Griffin, Jake Griffin, Stewart Fuller, and Macie Bradley Fuller; a dear niece, Claire Bradley Ong of Franklin, Tennessee; and a nephew, John Paynter of Abilene, Texas. She was predeceased by her parents; sister, Ada Paynter; and nephew, Mark Cohn Bradley. Carolyn was a treasured friend and confidant of her many cousins, including Ann Beckham McCurdy, Frankie Beckham Hall and David Boney of Dallas, and many close friends from church, Bible Study, and her football (and other sports) family. Carolyn was a successful recruiter and partner with Bundy-Stewart Associates, Inc. for over 25 years, but her real passion in life was football! She coached her girls in basketball, soccer, softball, and track, but when they went off to college, she started coaching boys! She taught many boys how to slide in baseball, shoot a lay-up in basketball, and block and tackle in football. She was the football commissioner for Spring Valley Athletic Association (SVAA) for over 25 years. Carolyn and Ross started girls’ sports in SVAA with two other families. Carolyn and Ross also started the girls’ soccer program in North Dallas Soccer Association. Carolyn sat on the boards for Fellowship of Professional Women and Spring Valley Athletic Association. She also worked with Soccer Start and was chairman for North Texas Soccer and US Soccer Region 3. If you ever had a conversation with Carolyn, you knew what her true passion was - her grandkids! She would do anything, and she did, for those four kids and their friends! Carolyn was the best wife, mother, and Gram that you could ask for. She was always there for you and your friends! She has touched the hearts of so many and been influential in so many people’s lives. Carolyn loved the Lord more than anything in life, and she is now where life really begins and never ends!